Bella Vista Bed and Breakfast Ltd. - Foothills Alberta b&b (bed and breakfast) lodging accommodations. Home -> Calgary and Vicinity -> Bella Vista Bed and Breakfast Ltd.
Bella Vista Bed and Breakfast Ltd.
We started our Foothills Bed and Breakfast near Calgary to offer a getaway destination for Albertans and visitors from around the world. 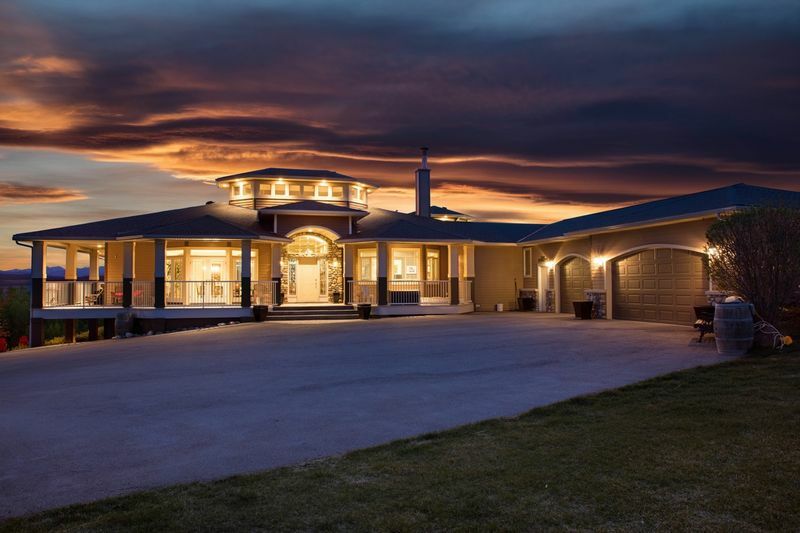 Located on 8 acres just south of Calgary city limits, our B&B is surrounded by 360 degrees of breath-taking views throughout all the seasons. Our rooms are spacious, unique and every room has a view of the Majestic Rocky Mountains. Enjoy your morning coffee or evening glass of wine sitting on one of the decks, watching the incredible sunrises and sunsets. We are located close to many small towns which offer unique shopping, dining and recreation opportunities, 15 minutes from Spruce Meadows and 20 minutes to Calgary.